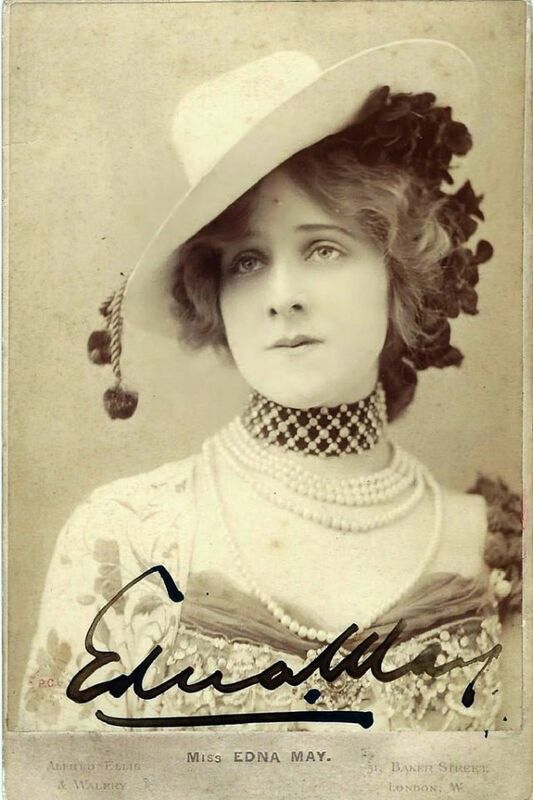 Actresses of Victorian/Edwardian eras were really elegant, and beautiful. A photo collection from Ken will show you how beautiful they were. Each of them had own autograph. 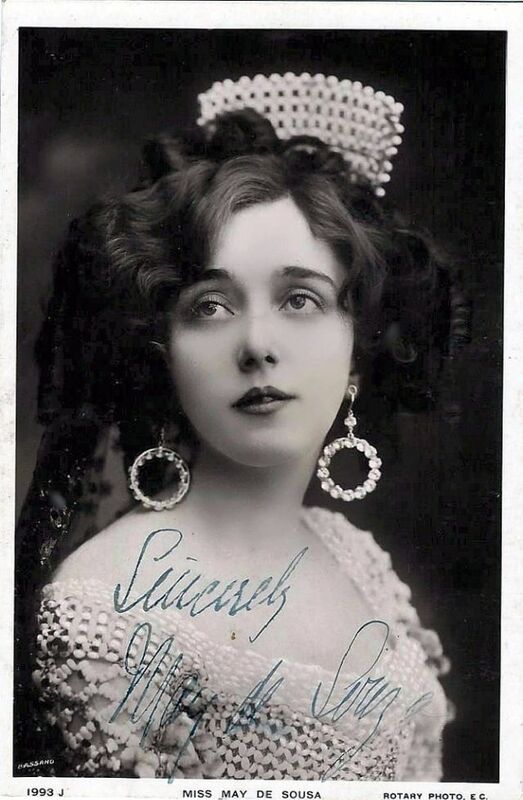 May Alvos de Sousa (1884-1948) was an American singer and a Broadway actress. 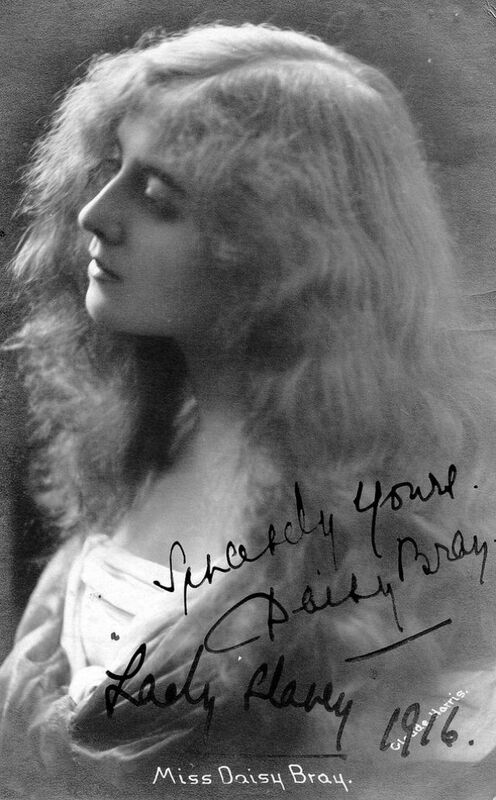 American actress Daisy Jerome was born Daisy Cynthia Jerome Witkowski in New York circa 1875. 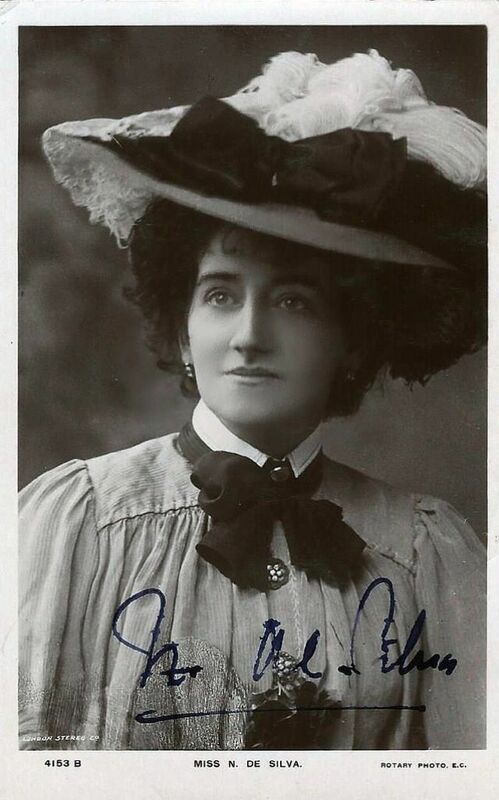 She married Englishman Frderick George Nepean Fowler on 3 January 1906 in Bradford, England. Lottie Collins (1865-1910) was an English singer and dancer, most famous for introducing the song "Ta-ra-ra Boom-de-ay" in England. 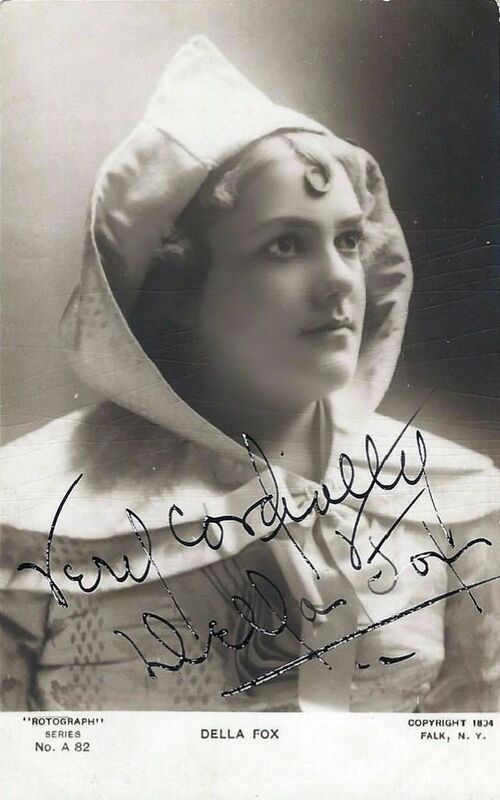 Miss Lillah McCarthy (1875-1960) was an English actress and theatrical manager. 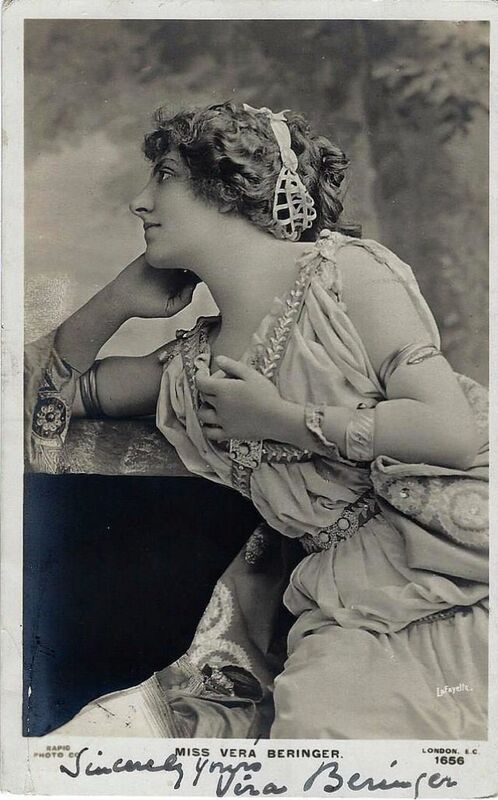 Blanche Massey (circa 1878-1929) was a Gaiety Girl and actress, who was most popular in the 1890's. She was the daughter of Rose Massey, a very popular actress of the period. 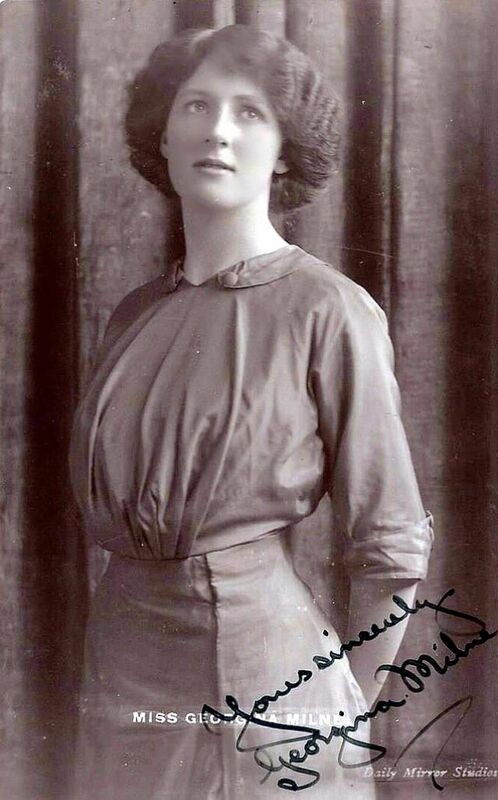 Nell Emerald was born Ellen Maud O'Shea on 29 October 1882 in Soho, one of five daughters of Irish parents. The sisters appeared in numerous music halls. 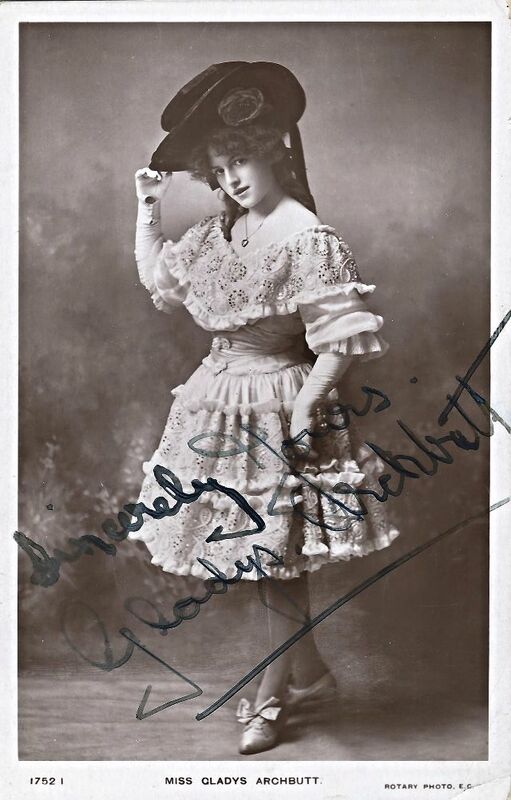 Nell married David George Beattie in 1910 and he requested that she give up music hall performing. Nell then entered the film business as an actress, screenwriter, and producer. She was co-director of the Brightonia Film Company. In the IMDB, she is credited with at least 19 films, the last appearance being in 1940. 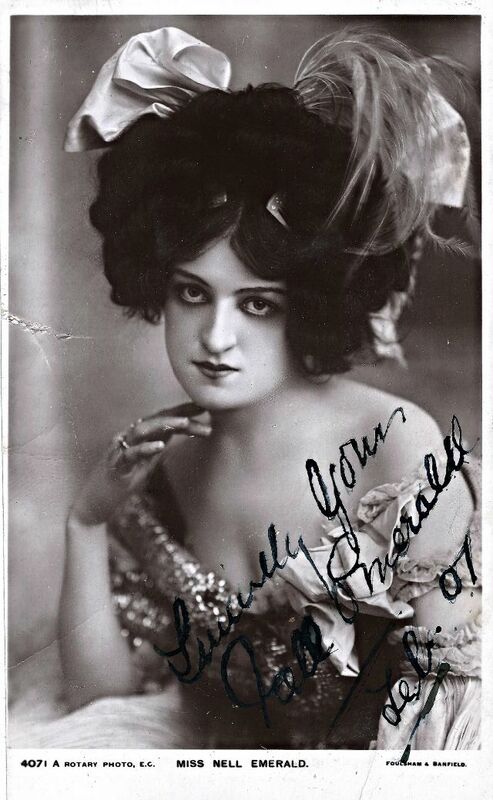 Nell Emerald passed away on 21 June 1969. Her niece, Ida Lupino, was a successful actress and director. Gladys Archbutt was born on 13 July 1889 in Twickenham, Middlesex, England. She was baptized Agnes Gladys Violet Frances Archbutt, the daughter of John Archbutt and Agnes Martha Roberts. She began her career as a child dancing star--in 1901 she was a boarder at St. Pancras, Middlesex, and listed her occupation as dancer. That career then led to her musical-comedy career on both sides of the Atlantic. She married Edwyn Ingram Gibbons in 1909; he was killed in action during WWI. She passed away on 5 July 1968 at Kensington, Middlesex, England. Saba Raleigh was born Isobel Pauline Ellissen in August 1862 in Middlesex, England. She was the daughter of Adolf Philip Ellissen and Pauline Elizabeth Leveson. She married actor Cecil Raleigh, and thus was known on poscards as Mrs. Cecil Raleigh. They were later divorced. She had a lengthy stage career and is credited in the IMDB with 14 film titles. She died in 1923. 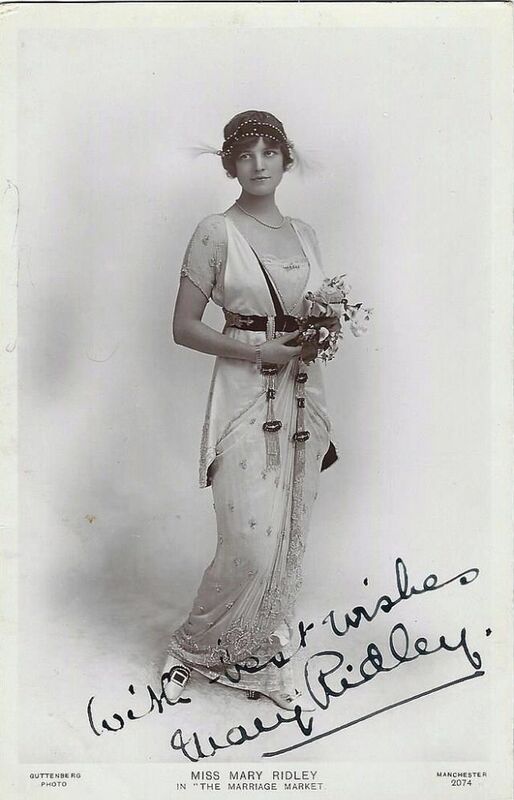 English actress and singer Winifred Barnes was born 18 November 1892 and died in 1935. 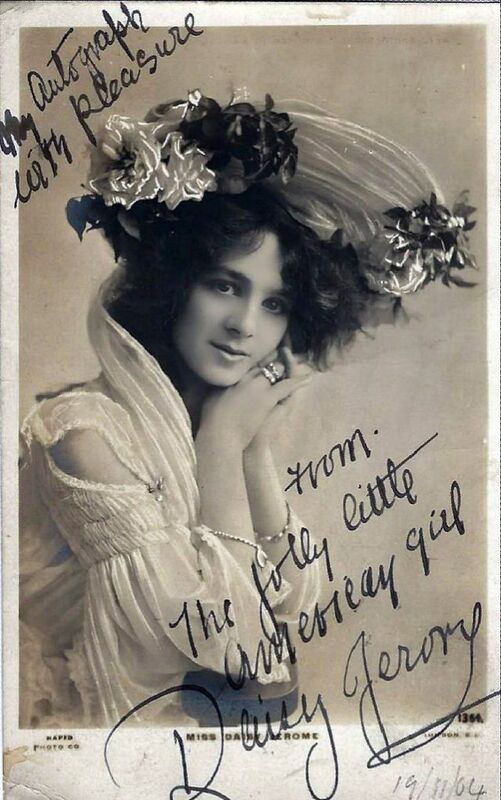 She made her stage debut in 1909 at the Gaiety Theater in "Out Miss Gibbs". 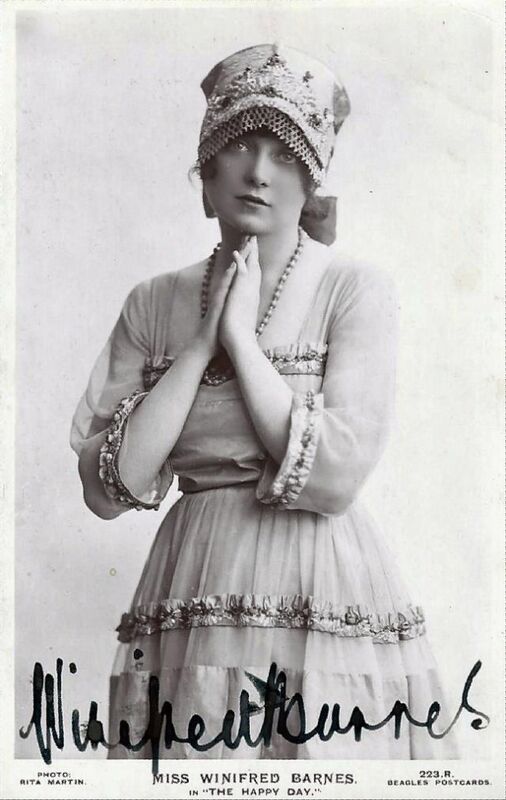 English actress Violet Cameron Thompson (1862-1919) was one of England's most popular stars of opera bouffes, which are known for elements of comedy, satire, parody and farce. Her career was severely damaged by what, at the time, was considered scandalous behavior. She was apparently duped into marrying someone who misrepresented himself, and when Lord Lonsdale came to her rescue, the scandal began (1886). 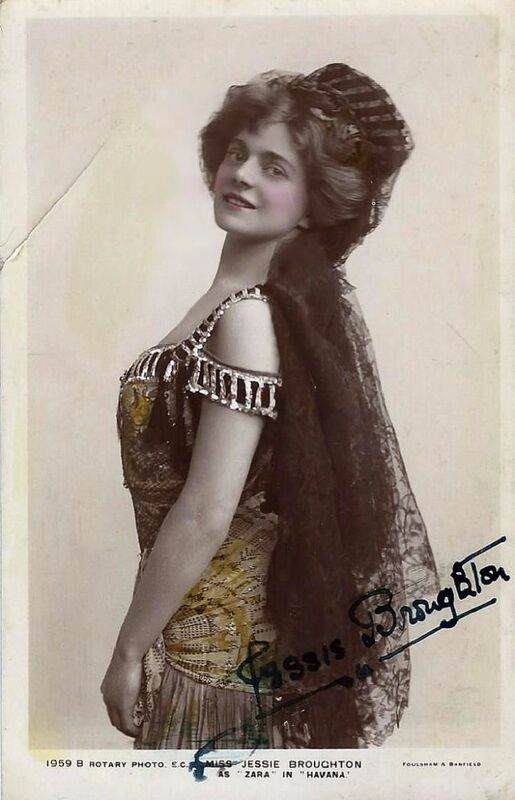 English actress and playwright Vera Beringer was born in 1878 in Marleybone, London. She was the daughter of German-born pianist/composer Oscar Berringer, and American-born author/playwright Amie Daniell. Miss Beringer was one of the most highly thought of child actors of the era. Her performance (playing a boy's role) in "Little Lord Fauntleroy" was a huge success. Critics praised her as clever and acting in ideal character, with her actions and elocution being truly admirable. She continued her acting career with less success as an adult, and began writing plays later in life. She died in 1964. 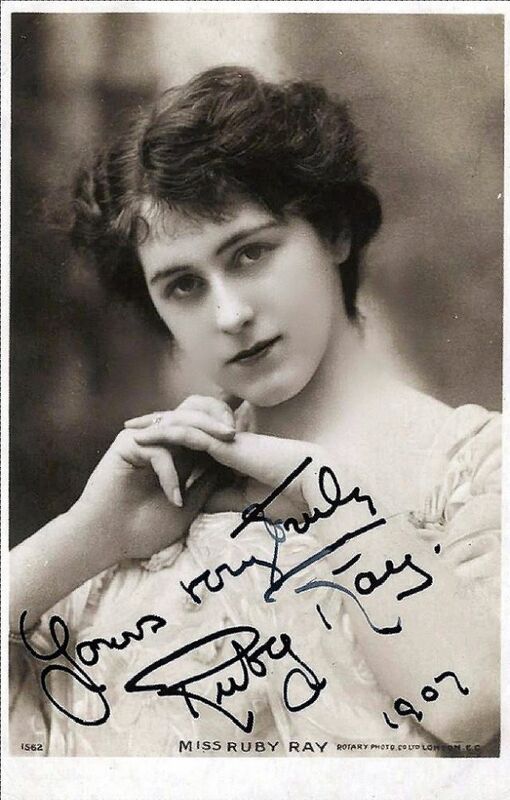 English actress/dancer Ruby Ray was born in 1891 and died in 1984. In addition to stage appearances, she made at least two movies. Moya Mannering was born in November 1888 in London, and passed away in 1953. Her greatest stage success was in "Peg O'my Heart". She appeared in at least two silent films. 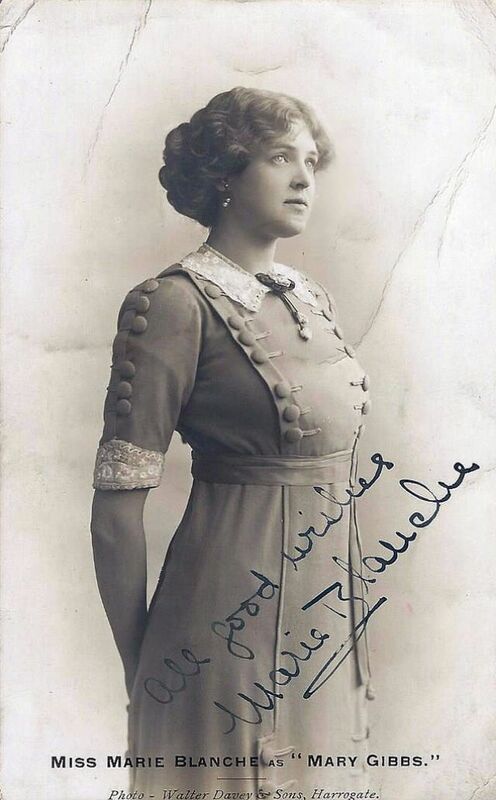 English actress and singer Miss Marie Blanche was born Marie Adelaide Peacock in 1892 in Yorkshire. 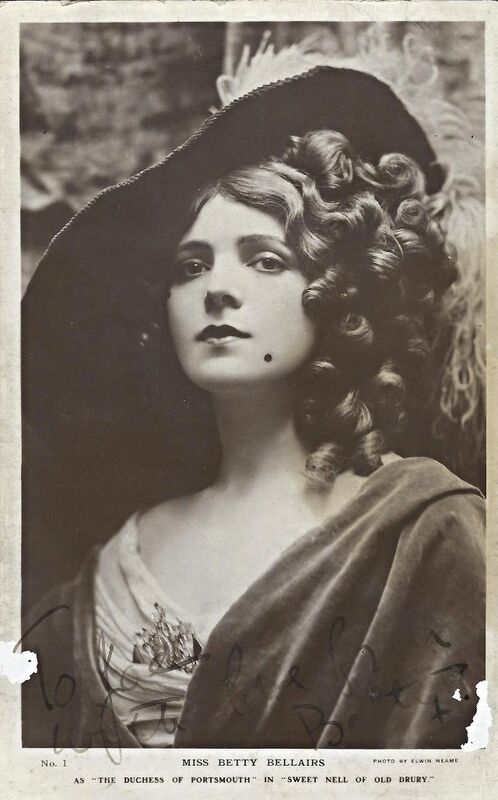 She was the daughter of actor and theater manager William Peacock, and began acting in her childhood. In 1917 she married E. Lewis Waller. She made at least four films. 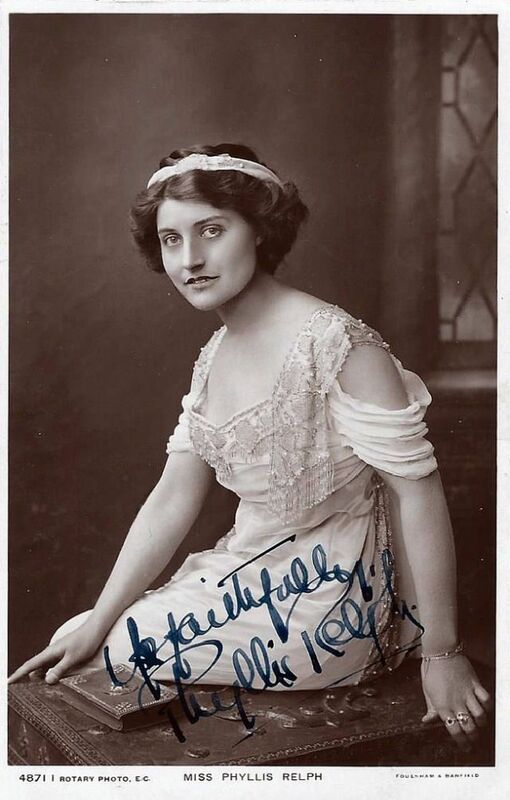 English singer and actress Miss Maidie Hope was born in 1881, the daughter of John Hollingshead. 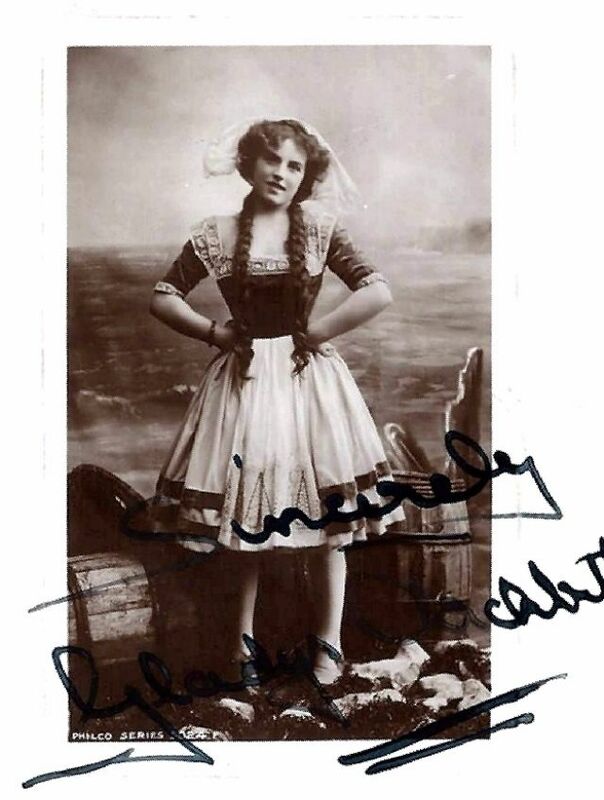 She made her first stage appearance in 1894 at the Gaiety in "The Shop Girl". 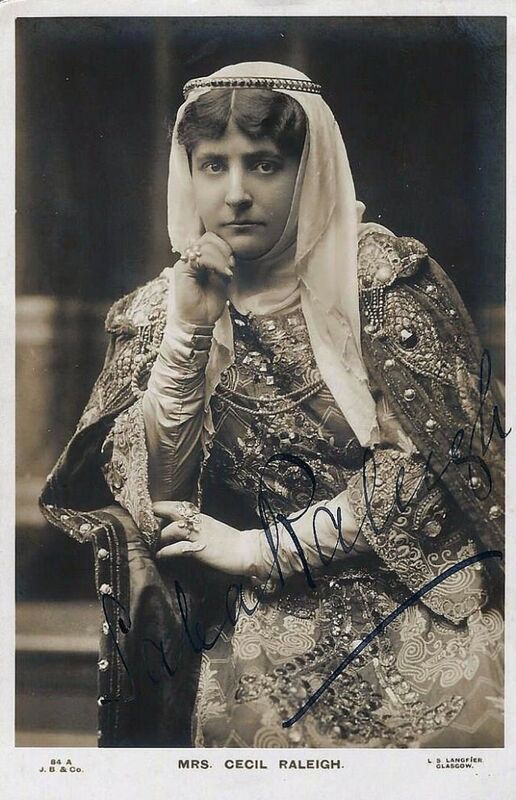 She appeared regularly on stage until 1903 following her marriage to Charles Dudley Ward. 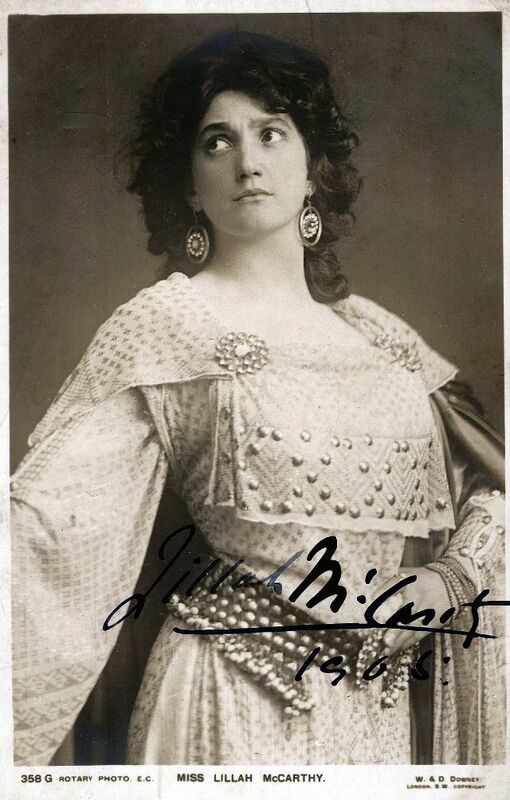 She returned to the stage in 1909 and appeared in over two dozen plays by 1915. She also appeared in at least seven movies. She died in 1937. 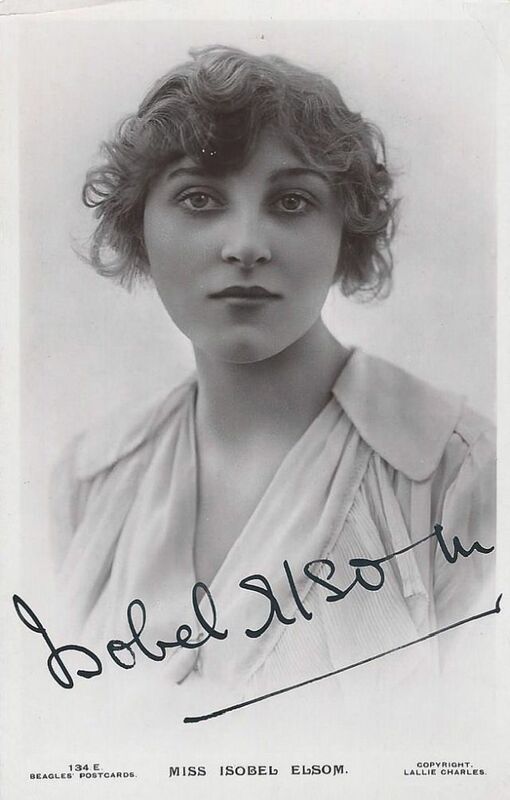 English actress Miss Isobel Elsom (1893-1981) was born Isobel Jeanette Reed in Cambridge, England. 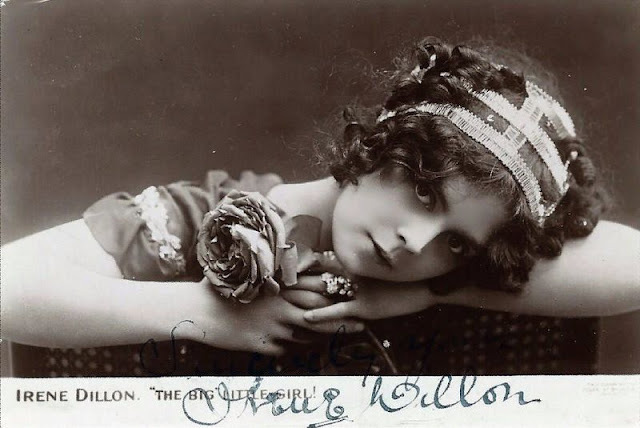 She began her stage career in 1911 and appeared in several productions at the Gaiety Theater. She then embarked on a lengthy film career, with IMDB crediting her with 129 film and television appearances. She appeared in "My Fair Lady" and with Jerry Lewis in "The Errand Boy". 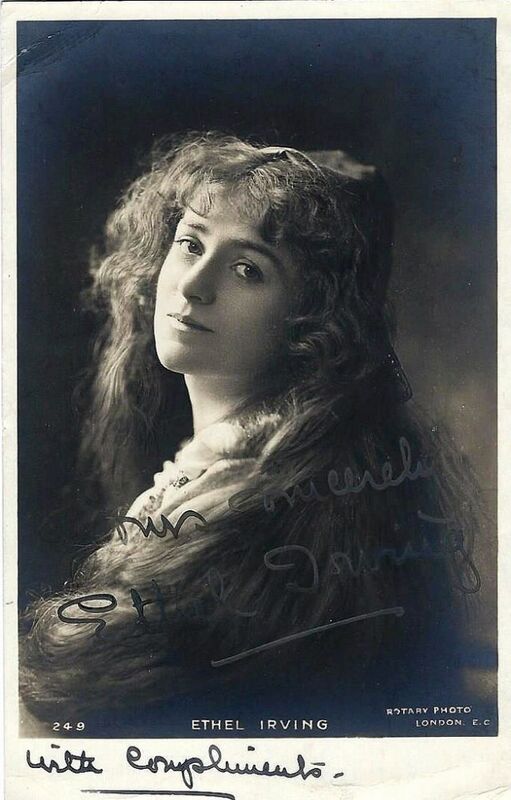 English stage and film actress Miss Ethel Irving (1869 - 1963) was born Frances Emily Irving, the daughter of actor Joseph Irving. She appeared in at least five films. 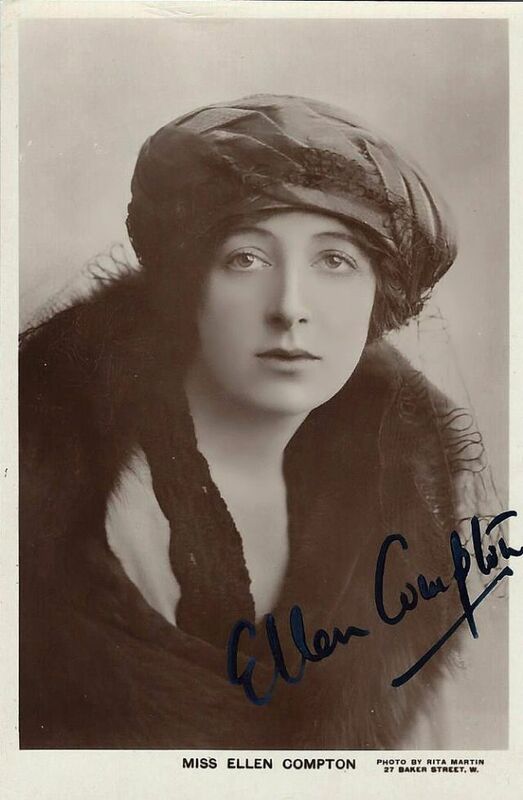 English stage actress Miss Ellen Compton (1891-1970) was the daughter of Edward Compton, actor and theater manager. She was the sister of actress Fay Compton. Phyllis Mary Relph was born in Kent in 1888, the daughter of James Llewellyn and Charlotte Relph. Charlotte was active in the theater as an actress. Her first marriage was to famous actor Lionel Atwell, which lasted from 1913 to 1916. Her son was killed in action during WWII. 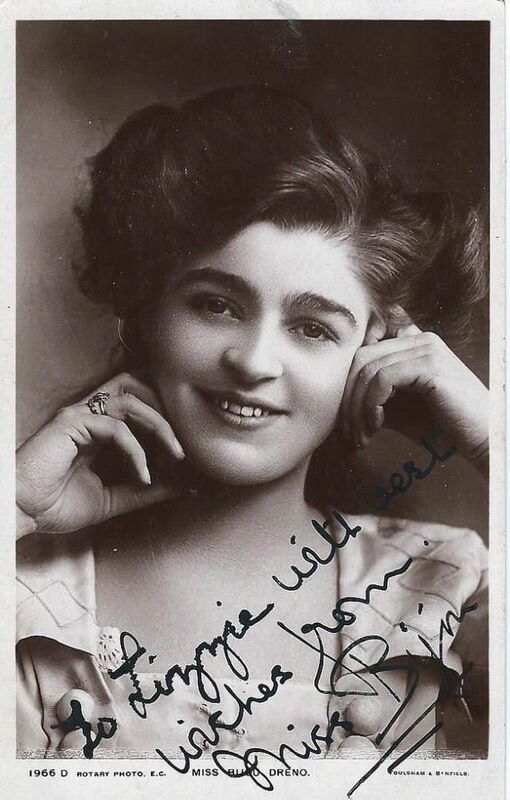 Nina De Silva (1868-1949) was best known as a Shakespearean actress and for appearing in plays with her even more famous husbang, Mr. Martin Harvey. She was born Angelita Helena Margarita de Silva Ferror, the daughter of the Chilean Consul to England. 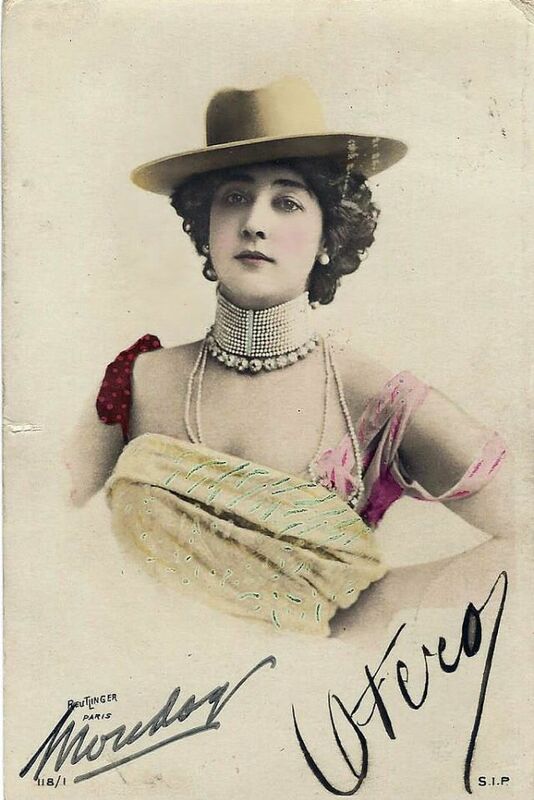 Carolina "La Belle" Otero (1868-1965) was born in Spain as Augustina Otero Iglesias. There is considerable information available on Miss Otero, and much of it is fascinating and at times sad. 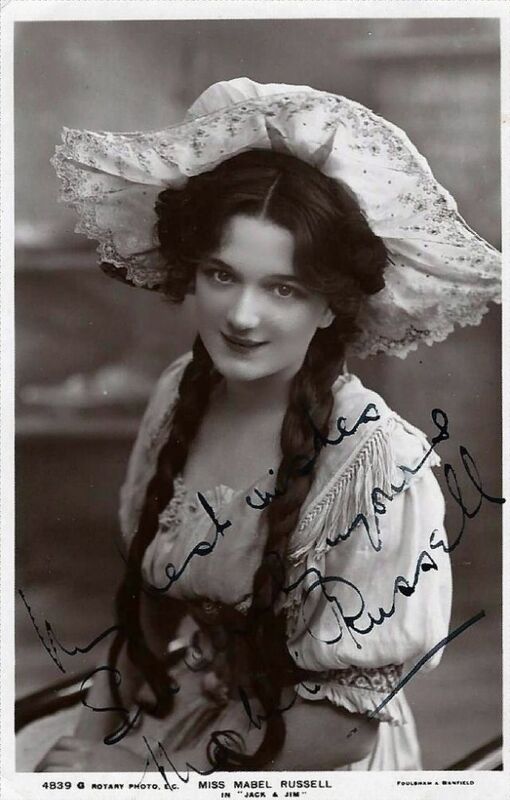 Mabel Russell (1887-1951) was an actress and politician. Her first husband, Stanley Rhodes, died in a 1911 automobile accident when he was 20. Miss Russell married Hilton Philipson in 1917. She continued her stage career, until she ran, in a by-election, for her husband's seat in Parliament, where she served until 1928. The diminutive Miss Della Fox (1870 -1913) was in the 1890's America's most popular comic actress. Born in St. Louis, Missouri, Miss Fox began her career as a child actress in regional productions, with her first appearance at age 7 in "H.M.S. Pinafore". She made her first appearance in NYC in 1889, at Niblo's Garden. 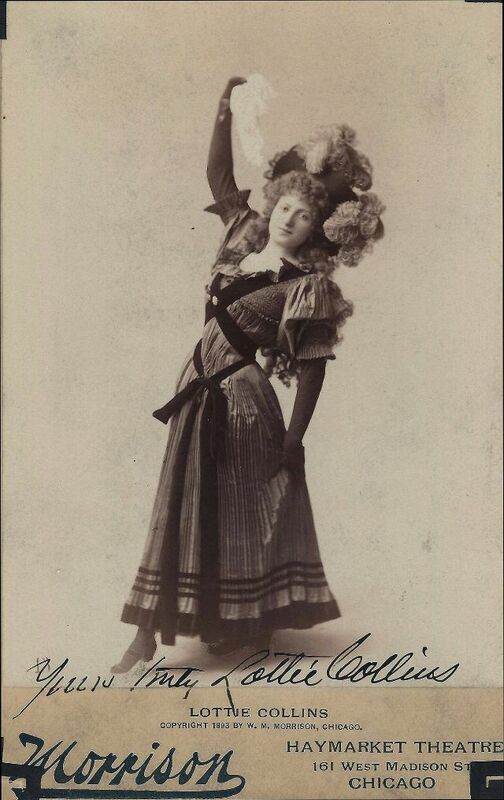 In February 1889, she appeared in "The King's Fool" at the Broadway Theater. What she lacked in talent, she apparently made up for in stage presence and charm. Her career waned as she became too old to play the parts she had done in the past. She made a career later appearing in vaudeville. But there may have been problems with alcohol and drugs. She died in a private sanatorium in NYC. 33. Amy Evans & Lily Elsie. 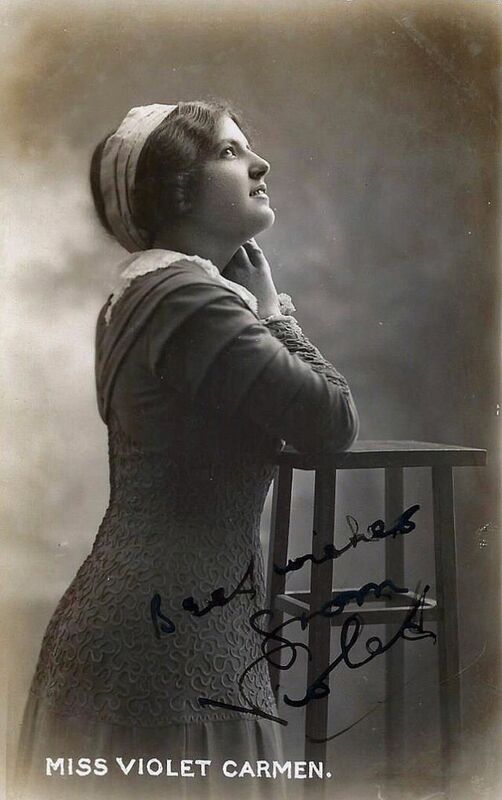 Amy Evans was a Welsh soprano who appeared in many light operas and musical plays. "A Waltz Dream" is the English version of a Viennese operetta by Oscar Straus. It premiered in London in 1908 at the Hicks Theater. 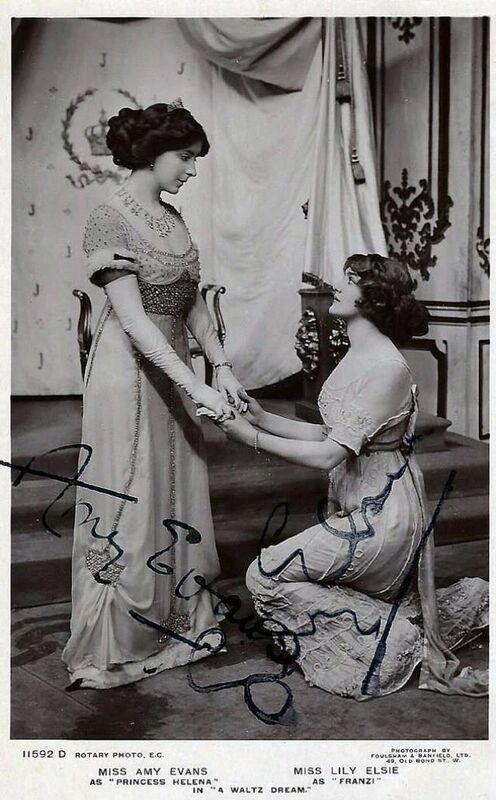 It was revived in 1911 at Daly's Theater, and it is this version, with Miss Lilly Elsie and Amy Evans, that is pictured. 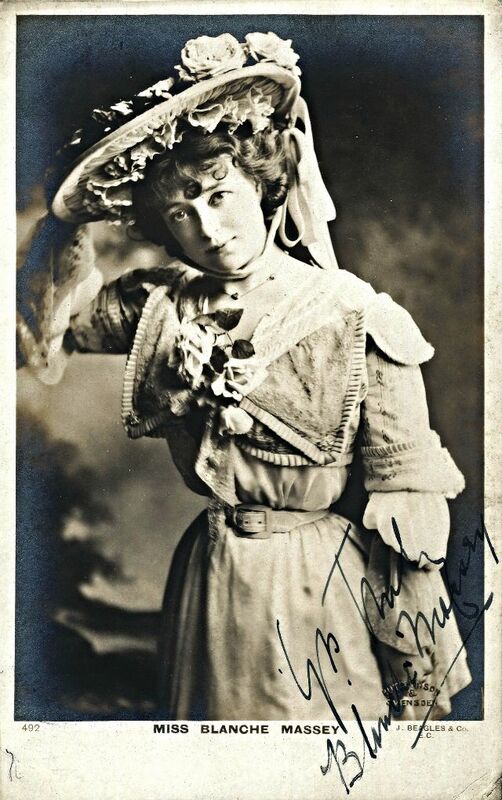 Edna May Pettie (1878-1948), known on stage as Edna May, was an American actress and singer. 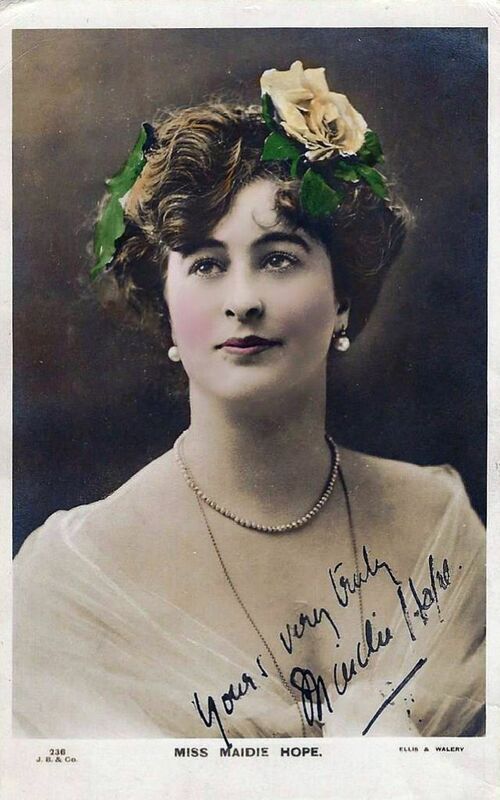 A popular postcard beauty, May was famous for her leading roles in Edwardian musical comedies. 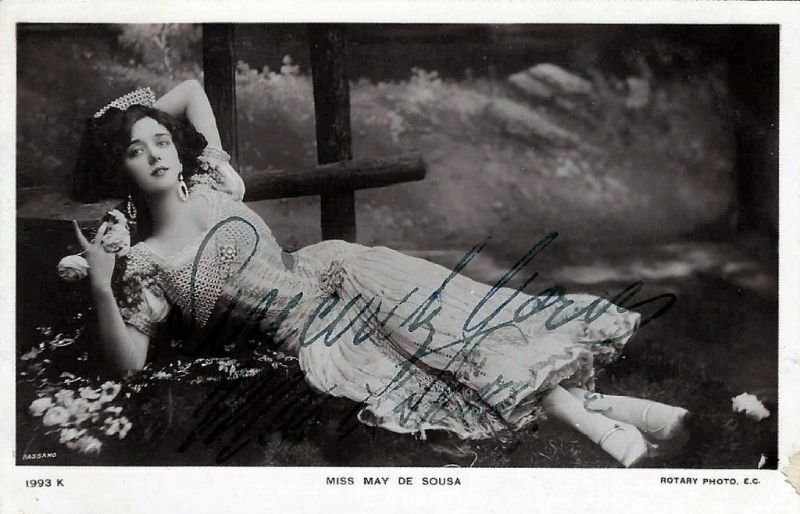 May De Sousa was an American singer and actress of the Edwardian era. 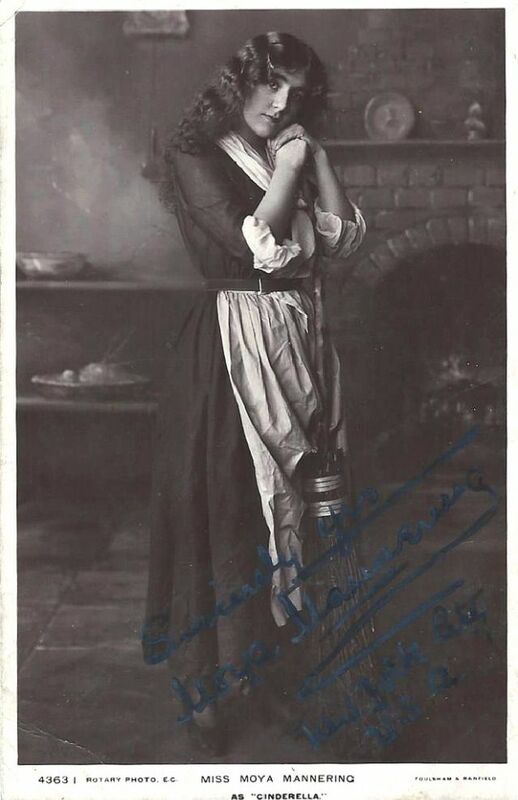 Jessie Broughton (1885-1938) was an English contralto and actress. 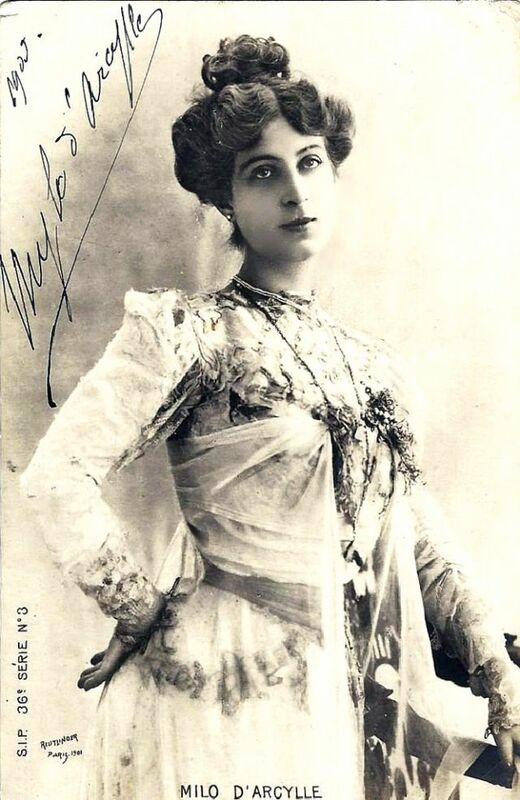 She made her stage debut at the Apollo Theatre in London in 1903 and soon appeared in "Véronique"' "Havana"' and "A Waltz Dream" in the West End. 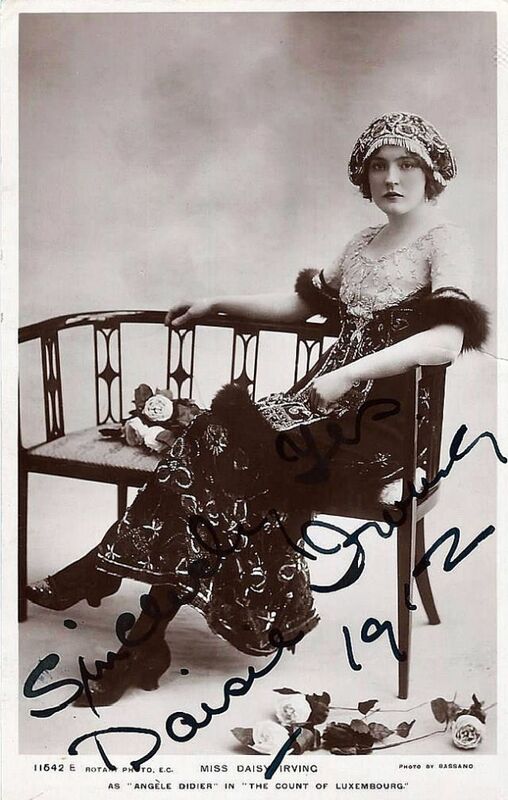 In 1910, she married, and with her husband she performed in London and toured Britain and abroad in variety and music hall, and made recordings, until the 1930s.